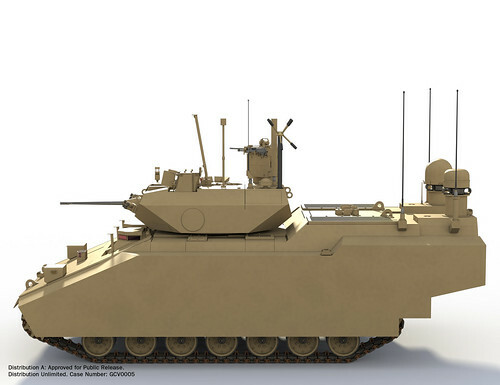 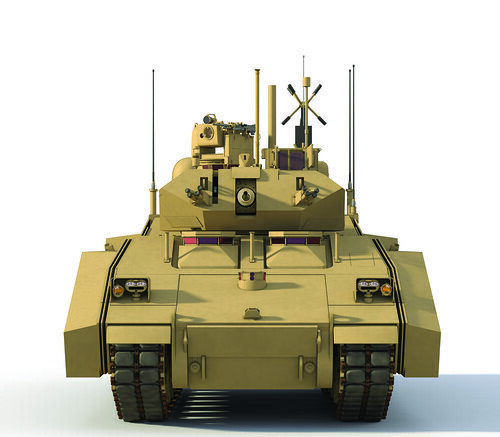 Here's some (relatively) new eye candy from BAE Systems who posted the a bunch of renderings of its bid for the Army's new Ground Combat Vehicle program on Flickr recently. 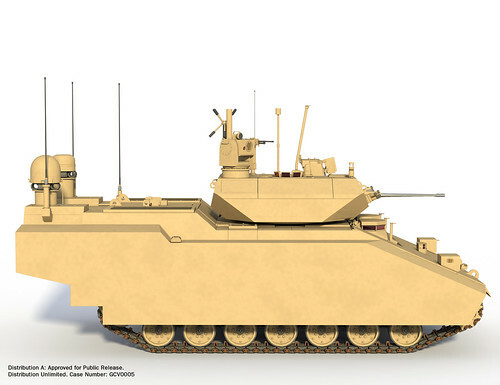 The vehicle looks and sounds an awful lot like the trac that BAE offered in the last go-round to replace the M2 Bradley infantry fighting vehicle. 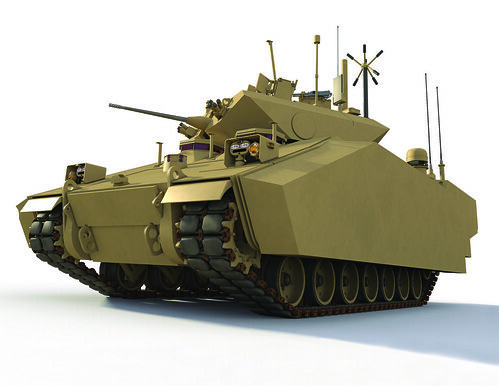 BAE's vehicle features a hybrid drive designed to be 10 to 20-percent more fuel efficient than the current crop of armored vehicle engines and armor that will give troops inside the GCV more protection than an MRAP, claims the company. 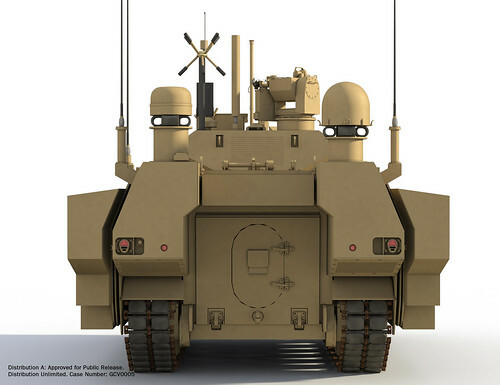 Remember, BAE -- along with rival General Dynamics -- was awarded a contract last year to come up with a concept vehicle for a new GCV. 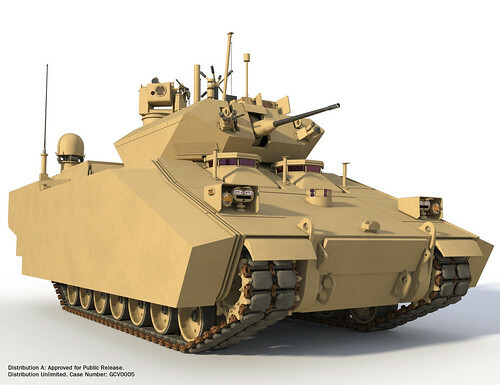 The last effort to field the GCV was cancelled in 2010 after Army officials decided the RfP called for a vehicle that didn’t match the service’s needs. 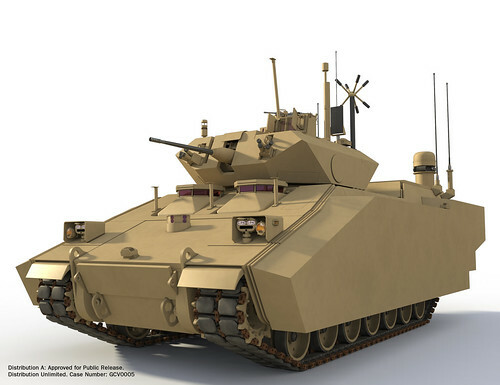 The Army launched a revised competition to replace its Bradleys in November 2010, calling for an armored vehicle that can do everything from counterinsurgency ops to armored warfare. 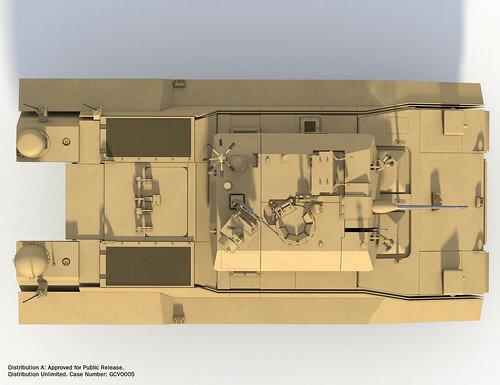 Anyway, click through the jump to see more images of the vehicle. 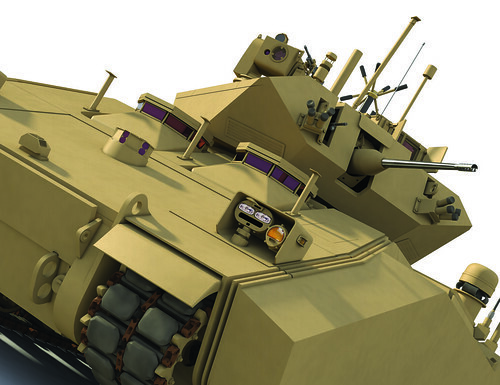 Sound off in the comments after checking it out.